Chasing a dream for 18 years often seemed unreachable, but giving up on the dream would have been giving up on himself. 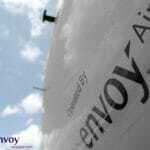 That is the case of First Officer Marc Wynn, who after 15 years as a helicopter pilot in the U.S. Army decided to reinvent his career by becoming a pilot at Envoy, a wholly-owned regional airline of American Airlines Group. After nine years of marriage and four kids, it was tough for Marc to even think that a career change was possible, but his perseverance and the desire to follow his dream removed any obstacles in his way. Back in 2000, Marc had thought of becoming a pilot, but those were tough times for the airline industry. 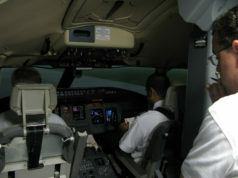 “At the time, I thought that becoming a pilot wasn’t the best career path,” said Marc. He might have finished school, gained the necessary hours, and have all the requirements and licenses to become a pilot, but could have remained unemployed. Still, he was determined to develop a career in a related field, so he decided to join the U.S. Army. Marc’s passion for becoming a pilot first bloomed when he was in the eighth grade. It’s at that age when most are discovering the world, their options and what’s next in life. At school he took a personality test to determine what potential careers would be best for him to pursue. The result? Marc’s personality would make him a great marine biologist, a paleontologist or an airline pilot. The result was a surprise to him, as he had never dreamed of becoming any of the three. Not because he didn’t think he could do it, but because it was something that had never even crossed his mind. 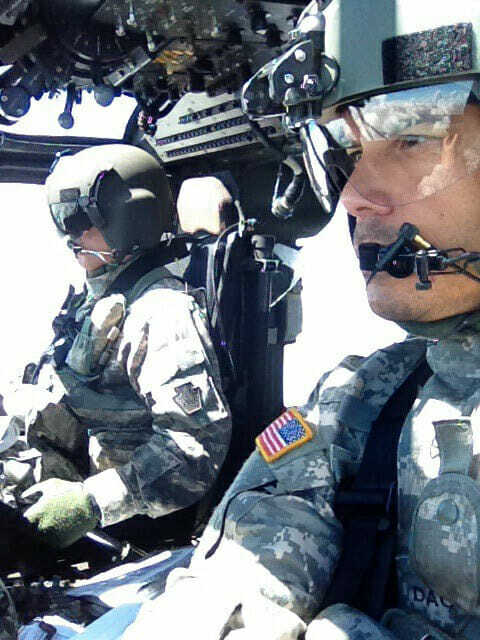 Eventually, while flying helicopters in the U.S. Army, Marc learned from a friend about Envoy’s Rotor Transition Program. 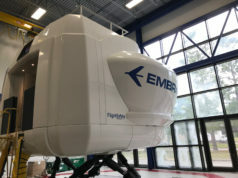 The program helps helicopter pilots transition to an airline by offering specialized training and financial assistance. Even though he was quite comfortable with his income, extra time available to spend with his family, and his many certifications and licenses; there was still something missing. Marc’s desire to become an airline pilot was still there, and suddenly, his 18-year dream might become a reality. He researched the various helicopter-to-airline options and decided on Envoy, the pioneer regional carrier that developed the program. By February 2018, Marc began fixed-wing aircraft training at Coast Flight Training and was hired by Envoy as a First Officer in April. 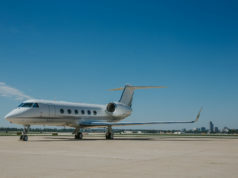 Since he already had many of the necessary requirements, it was an expedited process for Marc to get to Envoy; he just needed to complete the fixed-wing certification and preparation. “When I was a helicopter pilot, my kids were okay about it and didn’t think it was too exciting, but when I became an airline pilot, now they think I’m this kind of hero,” Marc joked, but also recognized the fact that all those years as a helicopter pilot were the key to reinventing himself and to pursuing his long-time dream. Marc is originally from Alabama, and every time he went on vacation, he and his family would hit the road in their family car. With a family of six it didn’t allow them the convenience of airline travel. 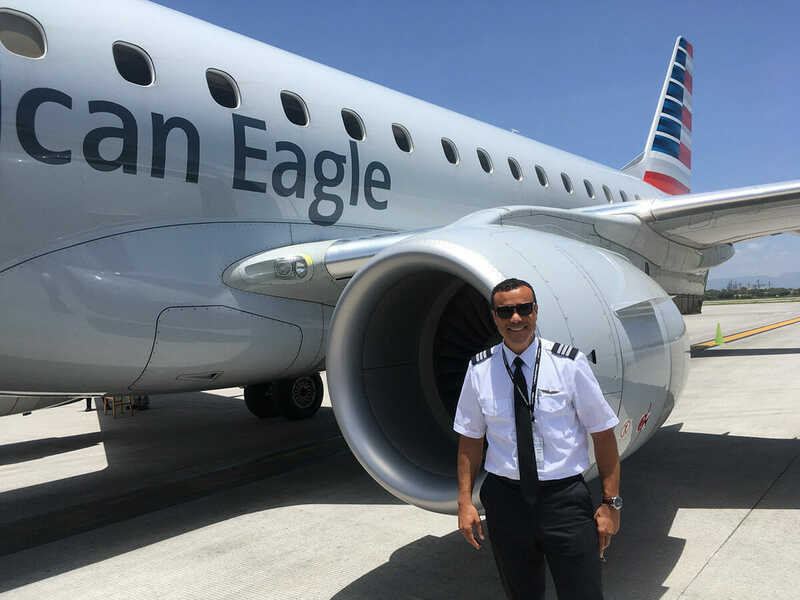 Yet, after becoming a pilot at Envoy and receiving his travel privileges that allow Marc and his family free travel on American’s global network, he and his family embarked on their first flight together – it was a family milestone. Eighteen years after joining the U.S. Army, Marc is enjoying the fruits of his labor and grateful that he followed his heart and can now say that he’s living his dream. 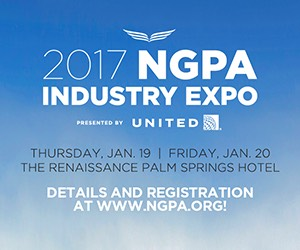 To learn more about the Rotor Transition Program, there is a non-profit organization called Rotor-to-Airline Group (RTAG), which provides guidance to helicopter pilots who are seeking to transition to a career as an airline pilot. If you are a current or retired military helicopter pilot and you want to begin a lifelong career in commercial aviation for the world’s largest airline, American Airlines, visit our RTP page or email our RTP pilot recruiters at envoy.rtp@aa.com. Wonderful article about my son. He was always gifted in his endeavors, his intelligence and maturity have helped him fulfill his dreams.